Become a fearless rider with Heidi McLaughlin's book, "K.I.C.K. Your Fear of Horses" and DVD, "12 Steps to Fearless Riding." Are you looking for the answers to get you back in the saddle. Would you like to enjoy your time in the saddle and be prepared? Become a fearless rider and learn how to ride on a horse without fear and anxiety. Start your journey to becoming a Fearless Rider by reading Heidi McLaughlin’s book, “K.I.C.K. 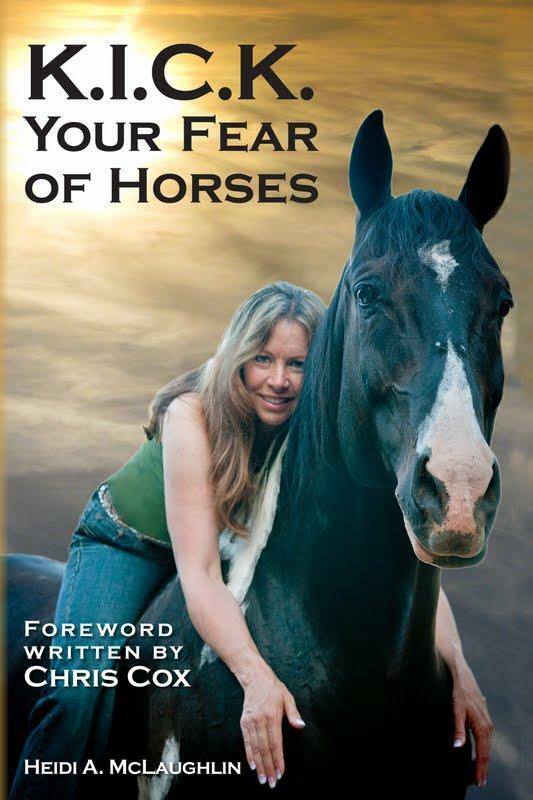 Your Fear of Horses.” This book was written as a result of Heidi’s quest to find her confidence with horses. This book examines different types of horse fears and practical steps the reader can take to overcome the fear of horses. Unlike other horse riding books, Heidi shares with the reader what has worked for her as well as other people who have found their confidence in the saddle by using the K.I.C.K Your Fear of Horses method. Heidi presents numerous practical hints to help get you on your way out of fear and into knowledge, which leads to confident riding. 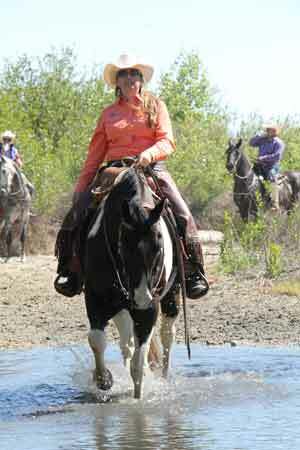 She hopes that her experiences will help others to gain the confidence they need to find true joy in the saddle. This book quotes the advice from many accomplished experts such as Chris Cox, Stacy Westfall, Richard Winters, Karen Scholl, Mike Kevil, Steve Halfpenny, Dr. Robert M. Miller, and Rick Lamb. Keep at it! Don’t give up. Invest in a well-trained horse and good training. Courage needed to gain Confidence. Knowledge needed to overcome the fear. By popular demand, Heidi McLaughlin has filmed and produced an instructional DVD entitled “12 Steps to Fearless Riding,” a step by step method to helping fearful riders break down their fears and build their confidence. Heidi McLaughlin has helped thousands of people begin their journey into confident riding – Fearless Riding. Fear begins where knowledge ends. In this 12 Step to Fearless Riding DVD discover the steps needed to start your journal to overcome your fear of horses and be able to ride on the horse again. Learn the K.I.C.K Your Fear of Horses, step-by-step plan that will enable you to find the confidence and joy that Heidi has found with her horses. Heidi breaks down these concepts and shows you how to use knowledge and practical applications to K.I.C.K. your fear of horse. "I first met Heidi McLaughlin in 2002 when she attended the first of several of my week-long horsemanship clinics. She was eager to learn, but her fear kept getting in the way of her progress. I pushed her over and over to rise up and face her fear. The result was the beginning of her journey into the confidence that I want for all riders.